So a year or so ago I wrote a reasonably pointed post about “getting your own relationship with God“. It was sort of my answer back to those who say you HAVE to sit and a have an hour with God every morning where you read your bible and pray specifically or you are not being a good enough Christian…. You see I believe that we have a loving God who wants to know us personally, through every season of life. I believe that He cannot be put into a box with a recipe on how to open it that you have to religiously follow. I believe that instead, He is eager and desperate to spend time with us no matter what that time looks like. Whether it is noisy time, walking time, tired time or stressed out time. God does not only love those who sit in a quiet room and do their devotionals properly. However, I hadn’t quite figured out what my relationship with God actually looked like when I wrote that post. It was more ad hoc than anything, and I hate that feeling of playing “knock a door run” with heaven, where every so often I would remember He was there and run up, knock and ask for things, and then run away again. (I never played knock a door run in real life as I’m too goody two shoes!). As I have just about settled in to life with two little boys instead of one, a month or so ago I started to contemplate what I would ideally like this relationship to look like, and what was actually manageable given my schedule, tiredness levels and ability to concentrate on anything for longer than the average length of a Mr Tumble episode. I came to the conclusion that to read a whole passage of the bible each day would be a challenge. To remember or actually be able to digest and get something out of a daily passage would be a miracle. And to remember it the next day would be like pigs flying on the day I won the lottery. And I became a little depressed. But then I started doing one of my 30 before 30 tasks – learning Christian Yoga. And I discovered that meditation was actually really helpful. I mean, I’m not very good at it, and I can’t quite do the whole sitting quietly for the very long, but the concept of thinking over something in your heart and mind for a while I enjoyed. 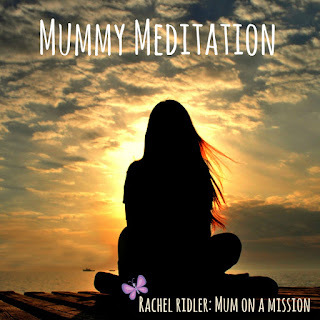 So I developed this sort of “mummy meditation” concept. Every week (yes I said week, as I wanted it to be acheivable – hopefully at least once a week I should be able to find half an hour of quietness in my schedule) I will sit down with my bible and read a passage. I will pray and seek God on it and normally a particular verse will speak to me. I then make this my meditation verse for the week, and pray on it, contemplate it, chew it over in my head and heart for the whole week. And by the end of that week I have a better understanding of it, I might have read around it a bit if I have extra time, and most of the time I can remember that verse going forward as I have repeated it in my head so many times!!! Probably a verse that is often taken out of context, I am enjoying thinking and praying around how when I take delight in the Lord, my desires become the same as His desires, and when your desires are the same as His then He will most certainly want to give you them! I find that walking to nursery is a great time to reflect on my meditation verse, as is in the shower, but also in the chaos of dinner time and bathtime. It is amazing how the different contexts and challenges of our lives might bring out different things in a meditation verse that we would never realise if we just read it once in a morning devotional and then moved on to the next verse. 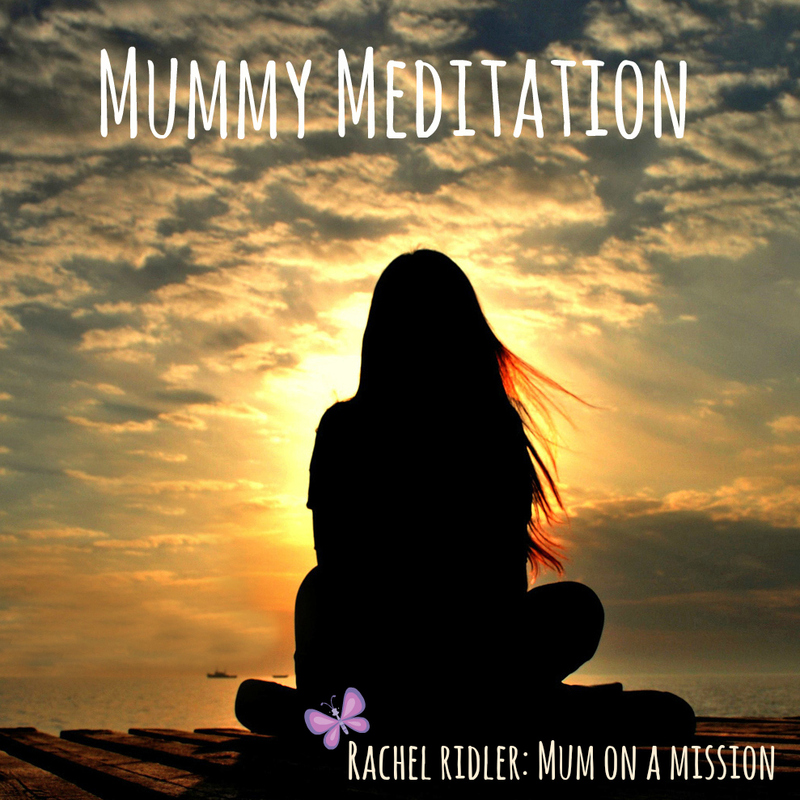 So if you are a mum struggling to connect with God, feeling guilty for missing bible studies and prayer times, then give it a try. I am also finding it ties in well with another new thing I am trying out – bible journalling – as it gives me time to develop a picture or design for my meditation verse that I can draw into my bible. That way when I look back through I will be able to remember the time that I meditated on that verse and what it meant to me. Watch this space for more about my bible journalling adventure!! Thank you for this and for taking the time to write it. I did wonder however if u would consider, as a Christian, whether or not to take the word 'yoga' out of your mindset. The idea of a Christian yoga is at a contradiction to the scriptures. Yoga is a Hindu worship strategy and the word itself means to 'yoke' as in 'unite' with the Hindu God's… in order that you will eventually reach such a state of consciousness that you realise your own divinity. If you Google around you will find some very good explanations of why Christians ought to stay well away from Yoga.. especially teeming simple bible meditation (which is obviously scriptual) the term yoga. I don't want to offend you, I just wanted you to be mindful of something given that you are also blogging it.